On Wednesday, California’s State Assembly resurrected the state’s assisted suicide bill and passed it. It will now move across to the State Senate, which has previously passed such legislation. The votes came down 42-33 for passage of the “aid-in-dying” bill, after what the Los Angeles Times noted was two hours of emotional debate. “I am committed to this issue of people being able to die on their own terms,” bill sponsor Assembly Member Susan Talamantes Eggman (D-Stockton) said of the legislation. 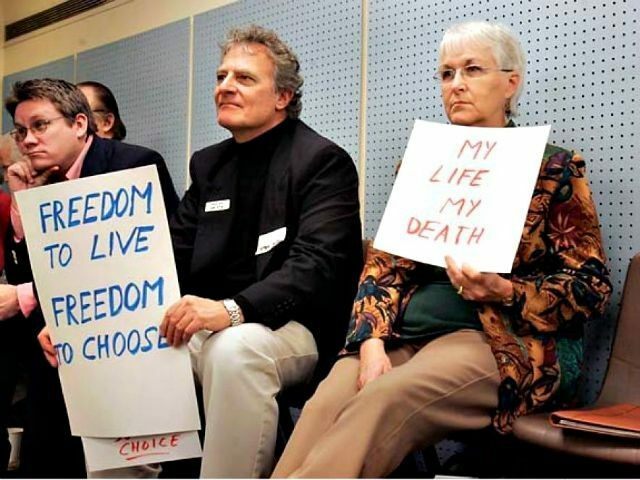 Prior attempts to run such assisted suicide legislation through California have been stalled and faced Democrat opposition. SB 128 had previously passed the California State Senate, but was halted amidst lacking support in the State Assembly. Californian Brittany Maynard has been used as the pretty poster child for right-to-die legislation since she moved to Oregon, where life-ending drugs are legal. Controversy erupted however, after she delayed her death. Assisted suicide-pushing group Compassion and Choices used Maynard in an ad campaign advocating for life-ending legislation in California. Five states have passed such legislation–Oregon, Washington, Vermont, New Mexico, and Montana–according to the group. The end of session is also the time when political gimmicks flourish. Take Senate Bill 128, which would have allowed doctor assisted suicide in California. It didn’t pass its committee vote earlier this year. Now, the bill is being resurrected, renamed, and taken to a different committee as part of the special session. A “Healthcare” special session is supposed to focus on how to help provide healthcare to the needy, but it is instead being used to ram through legislation that couldn’t pass earlier this year that has more to do with someone’s death than with their health! Governor Jerry Brown has been hesitant to take a position in the debate, leaving the possibility open that he could yet veto legislation if passed through the Senate and onto his desk.